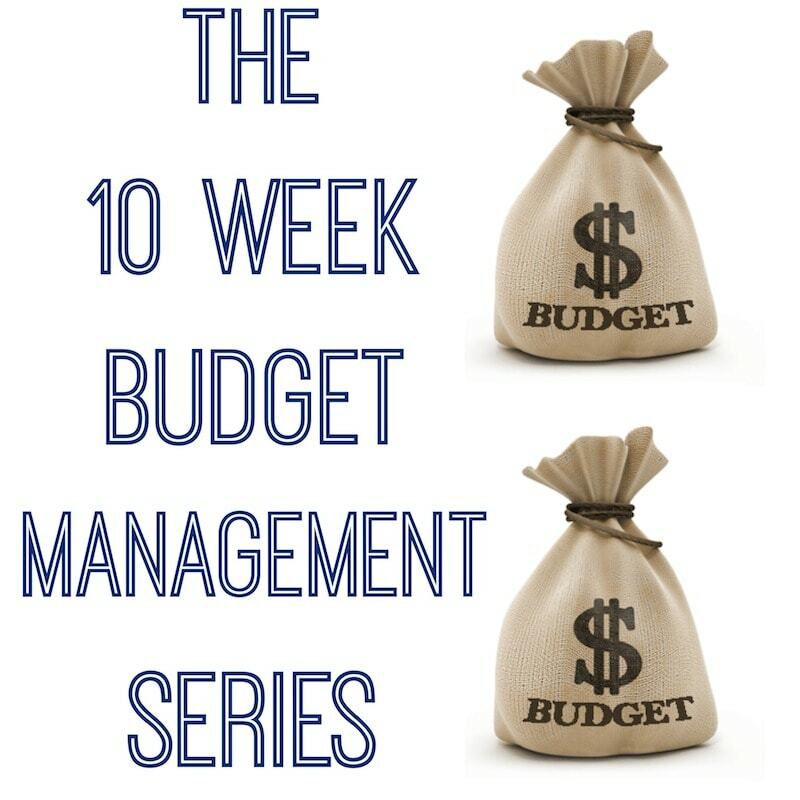 I’m so THRILLED this week to have Farnoosh Torabi guest posting as part of my 10 Week Budget Management Series on Lady and the Blog. Please take the time to read all of her amazing (and doable) tips and then hop on over to Amazon to purchase her latest book. As a financial coach, budgeting comes relatively easy to me. But when your family expands, reorienting your finances and finding new ways to save for a new addition can be challenging for anyone. And the expenses will continue for years to come. In fact, one study finds it will cost close to a quarter of a million dollars for a middle-income couple to raise one child for 18 years – sans childcare and private school. Here’s some advice – a checklist – I’ve pieced together recently and over the years that can help expecting and current parents budget better and save on child-related expenses. It has certainly helped us! For expecting parents, estimate how much you’ll spend for necessities. Be realistic and remember that the devil is sometimes in the details. Will you breast feed or pump? Nanny or day care? For help you can head to the cost calculator tool at BabyCenter.com to get a ballpark estimate of how much you’ll need to cover costs during the first year. The site reviews the usual expenses including childcare, diapering, feeding, clothing, toys, toiletries and more. Once you’ve figured out how much you’ll basically need for the first 12 months, start saving immediately by taking a percentage of your paycheck and depositing the money into a separate bank account automatically every month. At SmartyPig.com you can set up a savings account attached to specific goals, such as saving up for baby #1. The website lets you share your progress with friends and family and invite them to “donate” to your goal. Not a bad way to boost your savings. Try to start parenthood with a clean credit card slate, since you’re likely to incur a heap of additional costs preparing for and raising a child. Not to mention, if you need to take on any loans over the next few years, as a result of needing a bigger home or a bigger car, banks prefer borrowers you’ll want to make sure your credit report and credit score are in good shape. Know that these days, a credit score well in the 700’s helps nab the best auto and mortgage interest rates. You can check your credit report for free annually by visiting AnnualCreditReport.com. When you’re single with no dependents life insurance is not as critical, but as a parent, it’s time to cover this critical financial base for the security of your new family. Life insurance can be a major financial life preserve for your children, as it will be a source of income for them after you pass. There is no ‘one-size-fits-all’ way to calculate how much life insurance you need, but you can get a solid estimate by analyzing your family’s financial needs. [A good rule of thumb is to take your current income and multiply it by 10. That’s how big of a policy you may need.] Another way to calculate the amount is to determining how much replacement income your family or dependents will need in order to maintain their current lifestyle. Remember to factor in your expenses, all outstanding debt, a mortgage, funeral costs and how much it would cost to send your children to college. It’s not pleasant to think about the “what ifs” in life, but as new parents it’s your responsibility to make sure your child is protected and cared for in case of an unexpected death. You can work with an estate-planning attorney to help draft a will or you can get some free assistance at legal websites like RocketLawyer.com and LegalZoom.com. The earlier you begin, the more you’ll have come the first year of college, even if it’s just $50 a month to start. There are a few options geared specifically for the college-bound. The 529 “qualified tuition” plan is a popular place to start. It works much like a 401K or an IRA where your money is invested in mutual funds. The 529 savings plan is a state-sponsored tax-advantaged savings plan and every state has at least one type of 529 plan. It is free from federal taxes and many states offer state income tax deductions for all or part of the contributions made by the donor. Many plans have contributions in excess of $300,000. Withdrawals must be used for school expenses including tuition, room and board, textbooks, supplies, fees, etc. You can buy a 529 plan either directly from the state of through a broker. Note: your child’s college savings account is not the most important savings bucket to fill. Make sure your rainy day/emergency fund and retirement accounts are well filled before allocating money to college savings. The fact is – college lasts four years, while retirement lasts 30+. And between attending an affordable school, scholarships, grants and working part-time, your child should be able to help pay his or her way through school, as well. The financial burden is not all yours. Do as much as you can, but don’t compromise your other financial needs because of it. Make sure you have sufficient health insurance. This is a biggie. For expecting parents, find out how much of the delivery cost will be covered by the health care company and how much you will be your co-pay, or what need to pay out of pocket. If you’re not going to be working after you deliver find out if you and baby can piggyback on your husband’s health insurance plan from his company. Delivering a child, alone, including a last-minute epidural during delivery can be very expensive if your insurance company isn’t completely on-board. Definitely look into that by speaking with his company’s human resources department and health care provider. I just discovered that most insurance providers will cover the cost of a breast pump. Nice! Midway through your pregnancy or earlier, check in with your human resources department at work to learn about maternity/paternity benefits. With the FederalMedical Leave Act moms are eligible to take three months off but it may not include getting paid, so make sure you understand your income situation during your leave of absence from work. While you’re at the HR office, explore your health benefits to see if it makes better sense to enroll your child under your plan or your spouse’s (if applicable). It never hurts to ask a zillion questions. My husband just discovered he gets 4 weeks of paid paternity leave at his company – something he would have never learned unless he brought it up to his boss! Perhaps the biggest misnomer of having a baby is that expecting parents need more room (i.e. buy a bigger house) to provide for the child. False. Save your time, energy and money while pregnant. An infant can probably sleep in a bassinet in the parents’ room for the first three to six months. That’s, at least, what we’re banking on! Are you familiar with Farnoosh Torabi? She’s a personal finance expert and Today show contributor, and she’s got a new book coming out that tackles a pretty controversial subject: female breadwinners. Did you know that when women earn more money in their relationships, they face a much higher risk for burnout, infidelity, and divorce? But Farnoosh doesn’t just give us the statistics. She’s done a ton of research and conducted over 1,000 interviews in order to find the top concerns women have and how we can avoid those kinds of statistics in our own relationships. 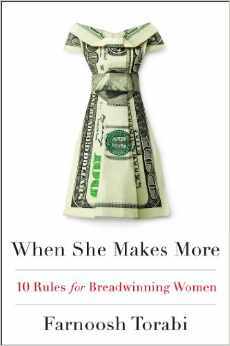 Her book, When She Makes More: 10 Rules for Breadwinning Women, is the ultimate guidebook for any modern woman who wants happiness not just in her career and financial life, but in her relationship, too.